If I hear the fecking word HASTA just one more time I swear to God someone is going to be HASTA. I find it very strange how one moment a Turk is hasta and the next second they are absolutely fit as a fiddle. Oscar winning performances. You can become hasta by leaving a door open, a cat hair, a low flying bird and talking of birds (STRAWBS ARE YOU TAKING NOTE:-) they hate ROY. 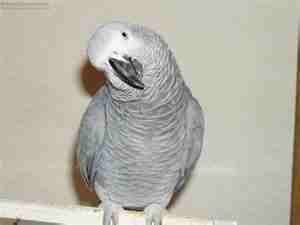 For everyone else, Roy is not my lover, oh no, Roy is my daughter's African Grey Parrot. You can imagine what they say about Roy, and Roy is always very polite to them, he says 'good bye' or squeals in their ears as they walk past his cage. Yes, I can honestly say Roy is not on their Christmas card list. Which takes me nicely onto the Christmas theme, the visitors cannot understand what a tree is doing in the house when there are two children and a 4 week old baby, guess what, it will cause serious HASTA to anyone who even dares to slightly glance at it. Ice cream, cold drinks are definitely a 'no no'. The bathroom has been turned into a jacuzzi, you can only shower in the morning as if you shower at night you will get hasta. Oh God what fun they are. I just love winding them up when I see them asking them how they are, I always know what their reply is going to be. Lets make a list of all the oddball things Turks believe make them hasta, that should be fun. Oh, you should try and record it! It would be hilarious! As for all the HASTA business, I blame the Turkish newspapers. A few months ago I looked after my daughter's cat while she was settling in their new puppy Pug. Anyway, Ertie told me that the Turkish newspapers had just reported this AWFUL diseases carried by cats, which can supposedly kill swarms of humans in their thousands. Blah blah blah blah.......on he went. Anyway, I brought Mimi back and after a couple of weeks he fell in love with her - and didn't want her to go back to my daughter's HOWEVER, during this time Ertie came down with flu (real flu) and also diarrhoea. Surprisingly enough he didn't blame Mimi for his condition - it was my fault! A lot of Turks will develop all sorts of health problems, and I guarantee they will find someone to blame for catching it. Even if they developed piles they would somehow manage to swing the blame on you!! Onto words and phrases.......Ertie's always saying Hadi! ......even when he's not even ready to go himself! He can be standing in the kitchen drinking a cup of tea, still with no shoes or coat on, and as he's sipping his tea he'll say to me HADI! It's like he's trying to rush me even though he's not ready to go himself! HADI HADI! Lol totally understand the whole hasta thing,its always being nagged about socks that gets on my nerves.... for goodness sake i've lived here all my life and i love being bare footed indoors with my central heating and carpets :)i own slippers but they get on my nerves trappping my feet in. strawbs my hubby is a hadi person when im being ushered to hurry up lol so funny.